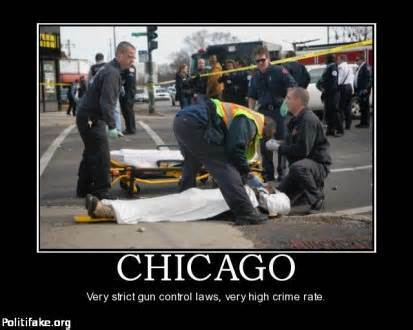 From MyFoxChicago: (Sun-Times Media Wire) – A woman was killed and at least seven other people were wounded Thursday in shootings across Chicago. The woman was found shot to death Thursday morning in the West Garfield Park neighborhood. Tiwaconda Williams, 36, of Forth Worth, Texas, was found with a gunshot wound to the head at 7:08 a.m. inside a vehicle in the 4300 block of West Madison, Chicago Police and the Cook County Medical Examiner’s Office said. She was taken to Stroger Hospital, where she was pronounced dead. The medical examiner’s office ruled her death a homicide. The most recent nonfatal shooting Thursday happened in the South Side Gresham neighborhood. The 22-year-old man was shot in the shoulder at 5:47 p.m. when two people walked up to him and opened fire in the 7900 block of South Hermitage, police said. He was in good condition at Christ Medical Center in Oak Lawn. An hour earlier, two men, ages 19 and 21, were shot in the Uptown neighborhood on the North Side. About 4:30 p.m., the two were standing in a parking lot in the 4500 block of North Magnolia when someone fired shots at them from a dark-colored vehicle, police said. The 19-year-old man suffered gunshot wounds to his leg and groin and was taken to Illinois Masonic Medical Center in critical condition, police said. The 21-year-old man was shot in the buttocks and was also taken to Illinois Masonic, where his condition had stabilized. About 2 p.m., an 81-year-old man was shot in West Pullman on the Far South Side. The man was sitting outside the front of his home in the 12400 block of South Union when he was shot on the side of his abdomen, police said.He was taken to MetroSouth Medical Center in Blue Island in good condition. An hour before that, a man was shot in Lawndale. The 32-year-old was found in the street with gunshot wounds to the hip and groin at 12:56 p.m. in the 800 block of South Kolmar, police said. He was taken to Mount Sinai Hospital in serious condition. About 9:50 a.m., a man was shot in the Austin neighborhood. The 18-year-old man was shot in his right foot in the 5800 block of West Chicago, according to police. Two male suspects left the area in a black vehicle. The man was taken to West Suburban Medical Center in Oak Park, where his condition was stabilized. In the first reported shooting Thursday, a woman was shot while waiting for a bus in the Hermosa neighborhood on the Northwest Side. The 58-year-old was waiting at a bus stop at 4:44 a.m. in the 4200 block of West North Avenue when a male in a gray hooded sweatshirt walked past her, police said. She then heard gunshots and felt pain in her lower left leg. She was taken to Stroger Hospital with a gunshot wound to her left ankle. Her condition was stabilized.